Start exploring nature with ten gripping Q&A guides to animal behaviour. Walk on the wild side! Getting you up close and personal with fascinating beasts both dead and alive – from dinosaurs and mammoths to sharks, bugs and lions – these books are the perfect place to discover the animal world. Testing you with fun questions about your favourite beasts, and providing all the (often surprising!) 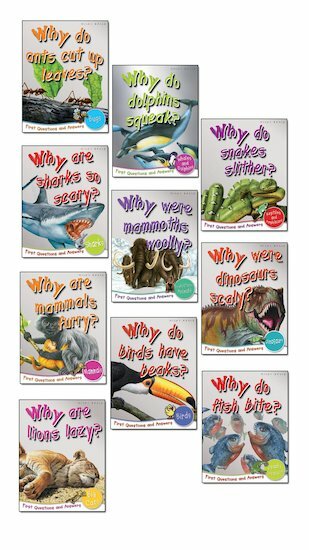 answers, they’ll tell you everything you want to know about how wild creatures live. Easy-read text, punchy artwork, cheeky cartoons and heaps of fascinating facts will make sure you’re always entertained!